Unfortunately, what seems like the exception should be seen as the rule. 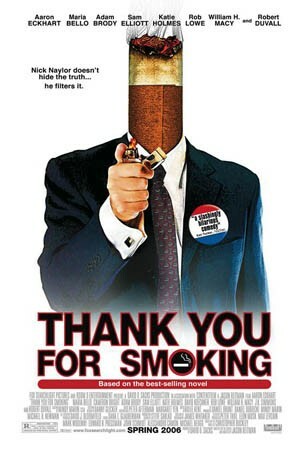 The practices that the tobacco industry honed throughout the second half of the twentieth century are playbook favorites among the strategists, public relations experts, marketers, and lobbyists of any industry whose product is potentially dangerous to individuals or the planet. If you are dubious, ask yourself why that wouldn’t be true? If the strategies worked for the cigarette — a product that is causally linked to more than 400,000 deaths per year in this county alone — why wouldn’t they be effective for other products. The presumption should be that the profit-maximizing suppliers of potentially dangerous products will adopt the tricks of the tobacco trade, and institutional and legal policies should be built on that presumption. And that’s true not just of the big-bad wolf industries – such as firearms, alcohol, and tobacco – but even of industries whose products are potentially life-sustaining or life-saving – such as food and pharmaceuticals. This week, two reports were published, piling on additional evidence of the science-skewing situational effects of industry. First, the Union of Concerned Scientists published “Smoke, Mirrors & Hot Air: How ExxonMobil Uses Big Tobacco’s Tactics to Manufacture Uncertainty on Climate Science.” The title of the sixty-three page exposé tells you much of what you need to know about its contents and tone. Though strident at times, the brief does a nice job of illustrating how a mere $16 million dollars went a long way toward buying time and buying cover. That report is just the tip of the shrinking iceberg when it comes to such critiques of ExxonMobil. This summer, for instance, Mother Jones published a series of articles under the title “As the World Burns.” And the Sierra Club has a webpage devoted to “Exxpos[ing] Exxon,” on which you can view, among other things, an animated movie, Toast the Earth, “a sad but humorous satire on Exxon and it’s science-bending, profiteering ways.” Meanwhile, Greenpeace has a webpage, ExxonSecrets.org, which ingeniously maps “howExxonMobile funds the climate control skeptics” at think tanks and various front groups. The second report this week, titled “Relationship between Funding Source and Conclusion among Nutrition-Related Scientific Articles,” is more scholarly in form and tenor than any of those. But the takeaway message is roughly the same: Industry investments in scientific debates are, from their perspective, dollars well spent. A group of researchers from Children’s Hospital in Boston looked at the effects of research funding by the beverage industry – including soft drinks, juice and milk. The scientists gathered 206 relevant articles published between 1999 and 2003. With that sample, investigators, who did not know the articles’ authors, place of publication, or financial sponsorship classified each article’s conclusions as “favorable,” “neutral” or “unfavorable.” Meanwhile, another investigator who was not told of those assessments determined the funding source (22% were funded entirely by industry, 47% had no industry funding, and 32% had mixed funding) and classified articles as to whether a favorable finding would be beneficial, negative or neutral to its funder’s financial interests. When asked about sources of bias, Dr. David S. Ludwig, one of the study’s authors, indicated that the biases likely reflected subtle manipulations in the way the questions were framed or selection biases in which scientists were funded or which studies were published. Note that none of those sources likely involve scientists who are consciously biased or intentionally manipulating their data. 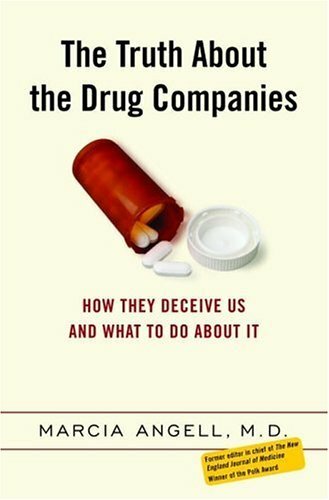 Still, consequences of the bias may be quite serious given that the role played by that literature in shaping governmental and professional dietary guidelines, the design of intervention programs, and FDA regulation of health claims on foods and beverages, and eventually “common-sense” perceptions of consumers. Of course, looking at the merits of an individual article or relying solely on the filter of “the scientific method” in a single study misses the point; the question is whether there exists a bias in the situation of science, not the the disposition of individual scientists or their studies. Taken alone, a bias can be extremely difficult to identify even by a study’s authors. How, for example, can one reliably identify the subtle consequences of seemingly trivial framing effects, unless one can test and re-test numerous alternative frames? And, of course, testing and re-testing requires funding . . . . This entry was posted on January 23, 2007 at 11:59 pm	and is filed under Deep Capture. You can follow any responses to this entry through the RSS 2.0 feed. You can leave a response, or trackback from your own site. Everyone loves what you guhys tend to be up too. up the wonderful works guys I’ve added you guys to my personal blogroll.